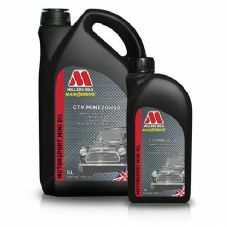 (SAE 30/40/50) - this prevents low hot oil pressure and resulting engine damage. Monograde oils thin when hot, reducing their effectiveness. 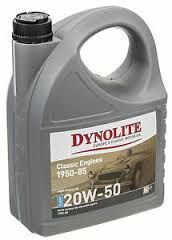 Classic 20w-50 is a standard SAE 20w-50 multigrade engine oil blended for use in popular classic vehicle engines of the fifties and sixties - 1950's and 1960's - offering maximum protection at an affordable price. Contains optimised levels of ZDDP for wear resistance. Guaranteed non-recycled base oils.